With the escalation of electoral politics, racial tension and the debate over immigration reform amongst Presidential candidates, Las Cafeteras un-apologetically bring a bold sound to provoke thought and encourage debates on and off the dance floor. 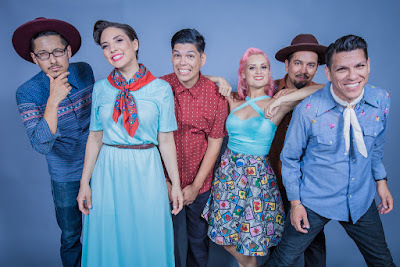 With a message of love and unity, countering hateful rhetoric from political characters like Donald Trump, Las Cafeteras are taking their music straight to the heart of America with a Spring Tour including 19 dates across the U.S.
Like modern day Woody Guthrie's, Las Cafeteras sing their socially charged stories to create a live performance that straddles the line between dance and dialogue. During election season where politicians tell you what you need to hear, Las Cafeteras asks fans to stand up and speak out with songs like "Señor Presidente", which ask the audience to share what they would do if they were President, or "This Land" which asks us to reimagine the idea of borders. “If you see the world different, if you come from a different place or even disagree with us, we invite you to come meet us on the dance floor. 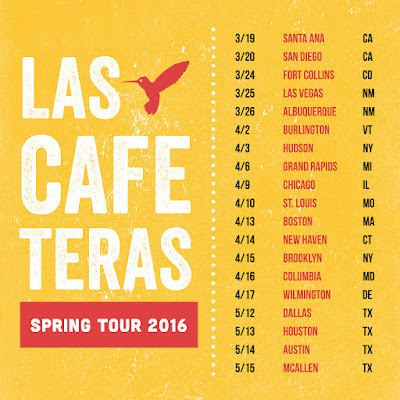 Let the music unite us and let's see what we have in common,” affirms Leah Gallegos, singer with Las Cafeteras.